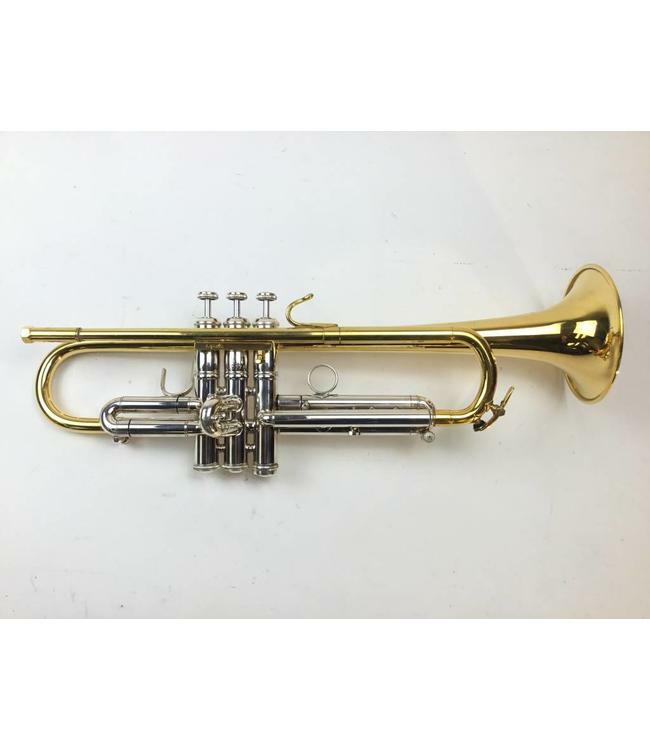 Used Bach Stradivarius Bb trumpet with Spada conversion. Instrument is large bore (.462”), Bach #6 (gold plated) leadpipe converted to reverse tuning and removable, amado water added to 3rd valve slide and slide stopper added, and model 25 bell converted to tunable. Horn is in good condition with dings and surface scratching throughout. No case.